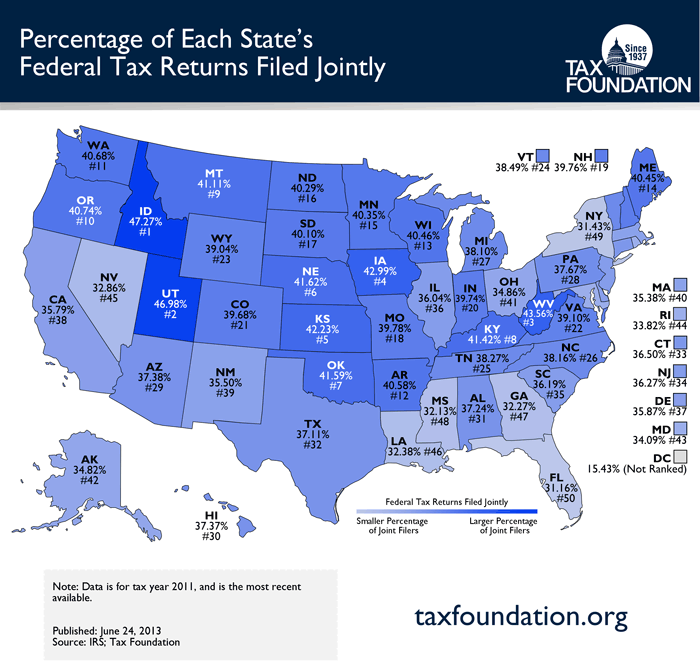 This week, our Monday Map details what percentage of federal tax returns are filed jointly within each state. In Florida, 31.16% of federal tax returns are filed jointly, the lowest in the country.Close behind are New York (31.43%) and Mississippi (32.13%). On the the other end of the spectrum are Idaho (47.27%), Utah (46.98%), and West Virginia (43.56%).